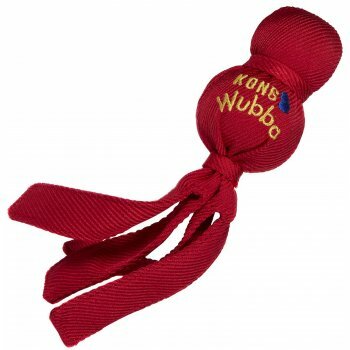 Kong Wubbas offer playful pups all sorts of interactive and chewing fun! Extremely durable, reinforced-stitched nylon fabric covers a squeaker tennis ball on top and a tough rubber ball below. Long, floppy tails make the toy easy to fling, grab, and throw.